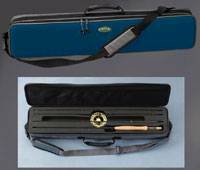 A range of rod bags, rod and reel cases, travel rod cases, holdalls and fly fishing destination bags from Orvis, Fladen and Stonefly. 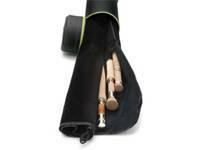 Traditional rod sleeve for keeping the rods clean and organised while being stored or transported. 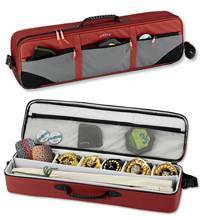 Durable fabric with convenienet velcro locking. 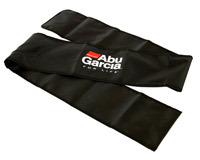 Available in four lengths suited for 2pc rods. 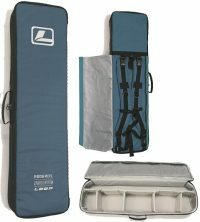 This innovative fishing bag is designed for the traveling angler. 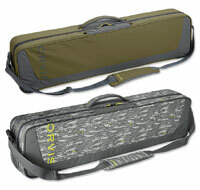 Orvis CEO Perk Perkins helped design this bag to meet the needs of the traveling angler. With his blessing, Orvis have updated this bag to be even more user friendly. Rods are stored in a separate, padded compartment in the top. 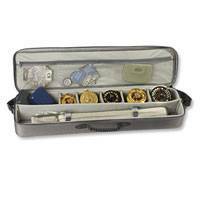 The bottom half has adjustable dividers and is designed to hold other critical gear like reels, lines, fly boxes, sunglasses, pliers, and terminal tackle.  Medium: 31" x 5½" x 8¾", to 9' 4-piece rod. Weight: 5 lb. 12 oz.  Large: 36¾" x 5½" x 8¾", up to 11' 4-piece rod. Weight: 6 lb. 8 oz.